College exams are not a walk in the park! Don’t be fooled. Take my word…I thought the transition from high school to college wasn’t going to be bad but boy was I wrong. Don’t procrastinate: This is a lot easier said than done but in the long run you’ll be thankful. Cramming for an exam the night before is not fun. 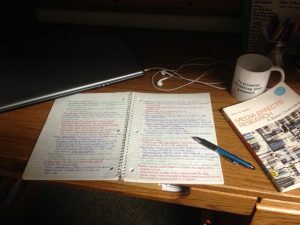 Even try to start reviewing notes or making flashcards at least 2 weeks before the exam. 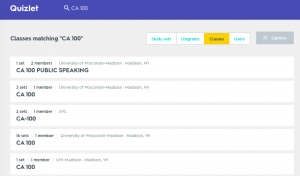 Look on Quizlet for sets made by past UW-students: I always forget that on Quizlet you can type in your class and a majority of the time in the top section it will say where the user goes to school. Make practice study guides or try to find some old ones online: So if you make or find a Quizlet for your class, you can create a practice exam with the terms and definitions. This is a great way to test your knowledge. Furthermore, you can even try searching for past exams online. 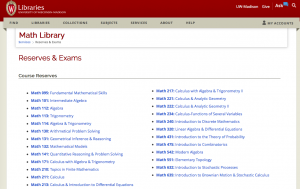 Here’s a link to past exams made for the Math department: https://www.library.wisc.edu/math/services/course-reserves/. Study in multiple places: This tip I learned from Psych 202. 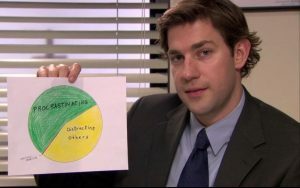 Apparently, if you want to recall information easier for a test, the best thing to do is to study in different areas each time. Rewrite notes: Simple as that, if you take concise and important notes, by rewriting the information multiple times it will help you remember.